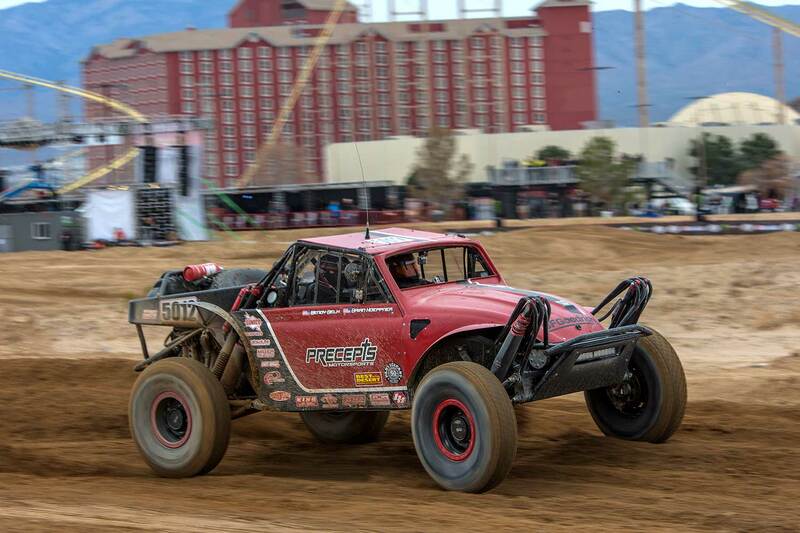 Brock Heger beat more than competitors in 20 classes to be the first finisher in the three-lap morning race at the BFGoodrich Tires Mint 400 (see all results via Link below this article). Starting order for the first five positions Heger’s Class 1000 was determined from the results of the recent Parker 425, where Brock Heger was rewarded for his strong second place finish by leaving the line on the first row. "The clean air helped on the first lap," Heger explained, "but once you catch lap traffic it can actually be a disadvantage because the other vehicles don’t know that they have been caught." Heger got mixed up with a SSV at the end of Lap 2, sending him end over end right in front of the crowded bleachers. His Alumi Craft race car withstood the rollover, but not without damage to Heger’s radio communications and brakes. Class 1000 vehicles feature economical Ecotech four-cylinder engines, making them a true drivers’ class. Heger beat 26 other competitors within the 1000 class to finish with an unofficial time of 5 hours, 53 minutes. The Class 10 podium was rounded out by Arnoldo Gutierrez and Christian Fessler. The explosion in popularity of SSVs has made the SSV Turbo Class (900) the largest of the Mint 400 with nearly 70 entries. These race cars must retain the stock turbocharged engine and stock chassis, making them nearly race ready right off the showroom floor. Justin Lambert barely edged out Phil Blurton and Mark Burnett, with less than two minutes separating the three competitors. "We started 59th in class, so we had a lot of traffic to work through with our Polaris RZR," Lambert explained, "but we had a flawless day." 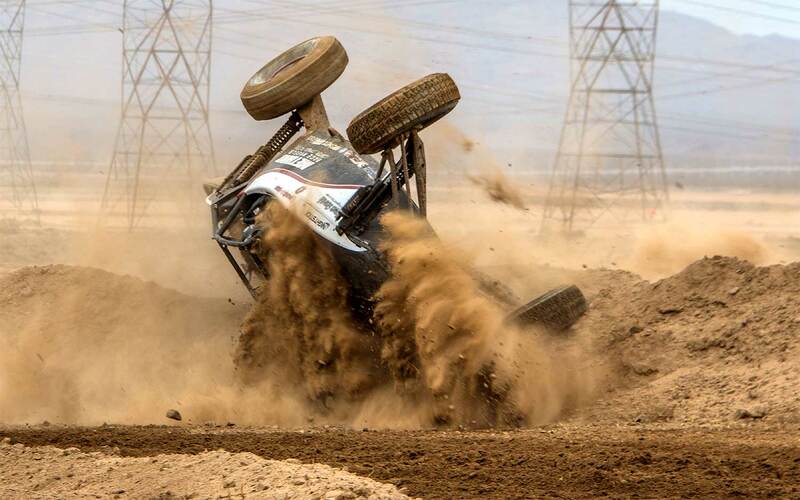 SSV Pro class (1900) had 50 entries, making it one of the largest classes at the 2018 Mint 400. SSV Pro differs from the SSV Turbo class in that they use a naturally aspirated (non-turbocharged) engine. Polaris managed to win both classes, with 17-year-old Dodge Poelman taking the victory in SSV Pro NA. Poelman started 22nd in class, but the intermittent precipitation and breeze kept dust to a minimum on the punishing 118-mile course. 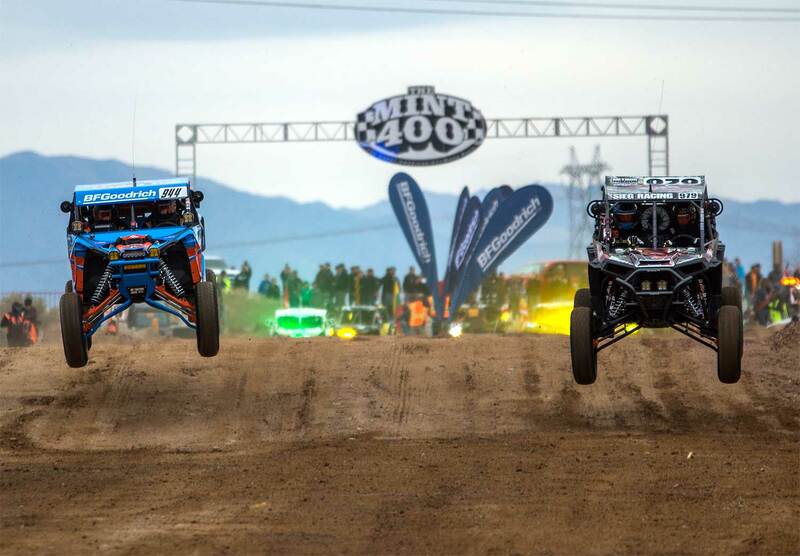 Twenty Trophylites showed up to do battle at the Mint 400 in this affordable spec class. Trophylites use the same four-cylinder Ecotech engine as Class 1000 buggies but mount the engine in front and run an automatic transmission and solid rear axle under the fiberglass truck body. Craig Spitz and his son Jacob won the Trophylite class after finishing just off the podium in fourth at the recent Parker 425. 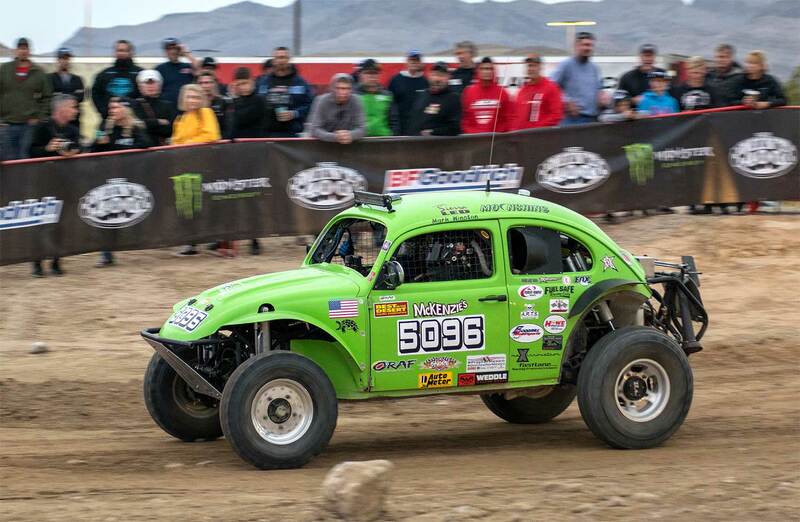 Other class winners included MMA superstar Dominick Cruz in Class Zero One (5500), Mike Belk in Class 5000 Bug, Chad Hall in Stock Mini (7300), and Billy Bunch in Jeepspeed Outlaws (3700). Lighter weight vehicles ran in the morning starting at 6 AM, while the larger, heavier Trick Trucks, 1500 buggies, 6100 trucks, and Ultra4 cars now take the course to run three laps and determine the overall race winner.